Salad Days: Mandarin, Polenta and Whatever-Nuts-You-Got Cake. Mandarin, Polenta and Whatever-Nuts-You-Got Cake. 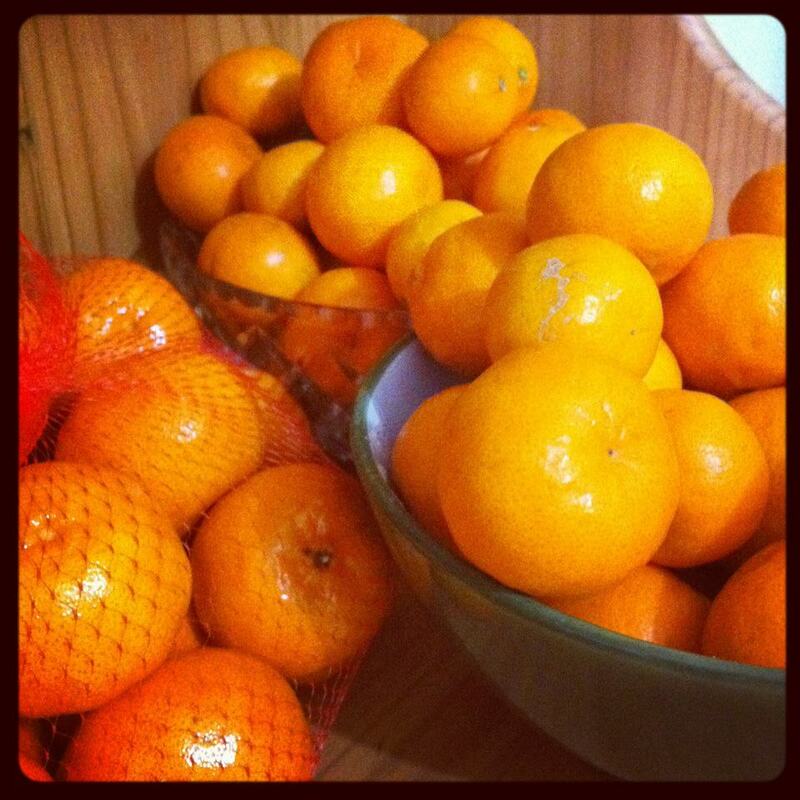 My kitchen is currently being overwhelmed by an abundance of organic, home grown mandarins (thanks mum! ), with several other rooms in the house scattered with pockets of mandarin peel. Yet, eat as I might, I cant get through the suckers! Exhibit A: Too many mandarins. A desperate plea for help collected suggestions varying from jams, marmalades and chutneys to cakes and slices. Cake is always good, so I decided that would be my initial modus operandi to chip away at my never-ending mandarin stash. A preliminary google search produced the following recipe, decidedly vegan unfriendly, I resolved to see what I could do using whatever I already had at home. Mandarin, Polenta and Whatever-Nuts (and seeds) -You-Got Cake. Preheat your oven to 175 degrees C.
In a medium sized saucepan, cover the mandarins (skin on) with water and set to boil on high heat. When boiled discard the water (you could leave it to cool and use to water house plants) and repeat the process three more times. Cool the mandarins to room temperature. If short on time, place in a bowl of cold water and place in the fridge or freezer (halve them first). Meanwhile, process the nut mix to a fine, flour-like texture. Place in a mixing bowl along with the spelt flour, polenta, salt and baking powder. In another bowl, use electric beaters or super strength to cream the (softened) coconut butter, nuttelex and sugars. Add the vanilla at some point. Mix the wet and the dry ingredients together. Place the tofu and flaxmeal in a blender/food processor and get it liquidy. Add the mandarins and pulse for a few seconds (you want it a little chunky). Add to what you've already got and combine well. Pour into a baking paper lined/greased cake tin (I use coconut oil spray for all my greasing needs) and place in the oven. The recipe I used says it takes about an hour, but it took my oven close to two! I do, however, have bad oven luck. Leave to sit out for maybe 10-15 minutes (as long as you can handle) before serving up with a scoop of vanilla icecream - I used So Good, but only because I couldn't access Cocoluscious or Coyo icecream, dammit. 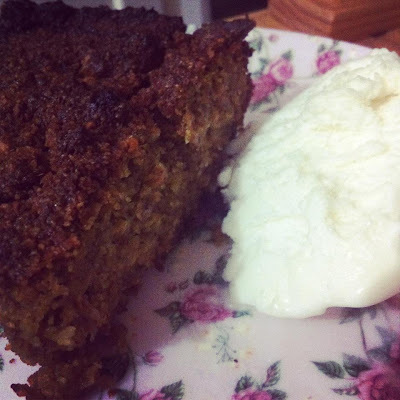 This recipe can easily be made suitable for coeliacs by substituting the spelt flour for more ground nuts or polenta. Additionally, go wild with seasonal and inexpensive citrus fruits by experimenting with tangelos, grapefruits, oranges, lemons and limes as well as different nuts and seeds. That looks delicious! Yummmm! Have you got a juicer too? I looooove mandarin juice!! mmmmm!!! !